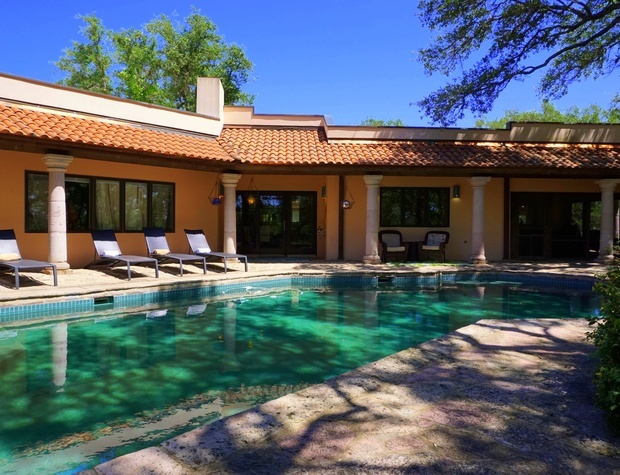 This amazing home is the ideal location for a couples retreat, a family vacation or for a girls’ weekend getaway. 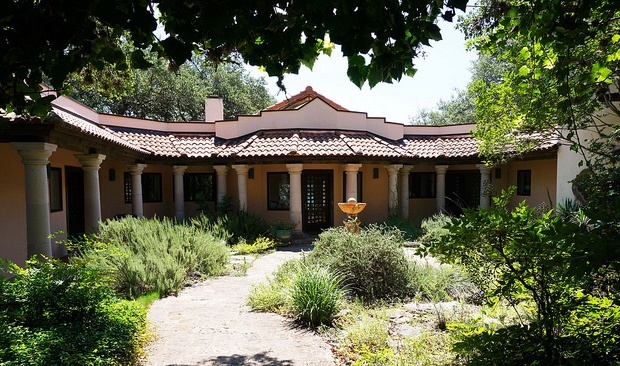 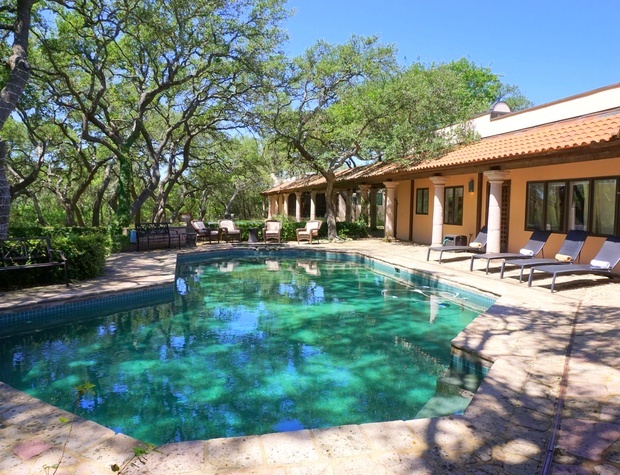 Located less than three miles from the Town Square, Casa Cantera is situated on 18 acres up in the hills of Wimberley. 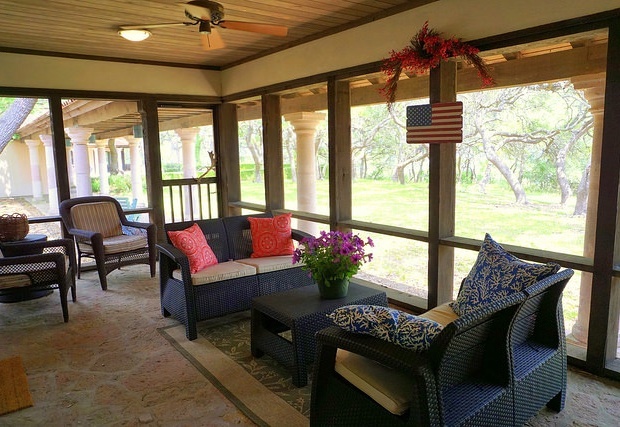 Warm and inviting no matter what season you plan to be here, this home is the perfect escape to relax, play and enjoy the Hill Country area and all it has to offer. 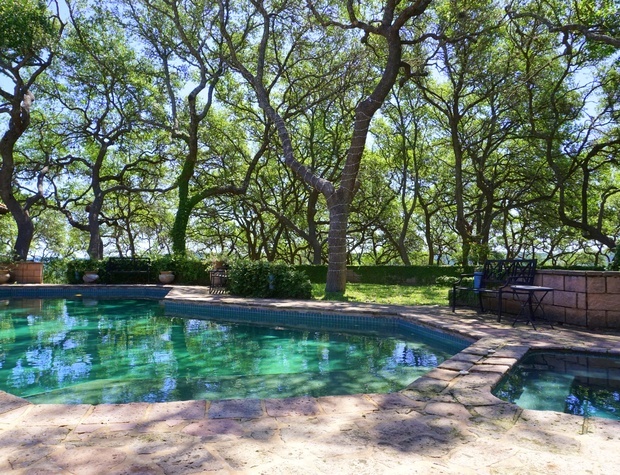 The grounds are beautifully natural with large trees and a sparkling swimming pool. 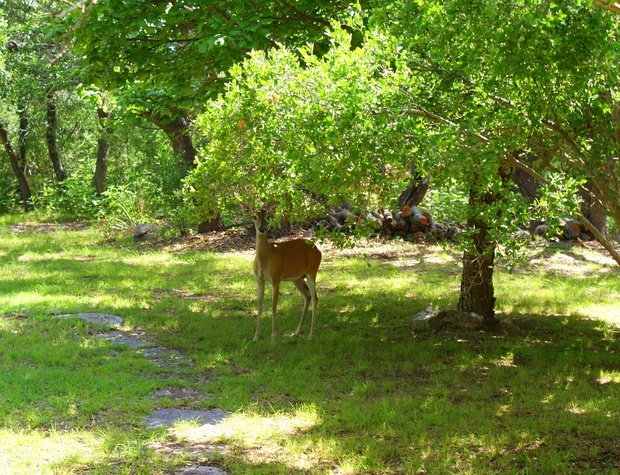 Watch the deer and take in the spectacular valley views from the east or city views from the west. 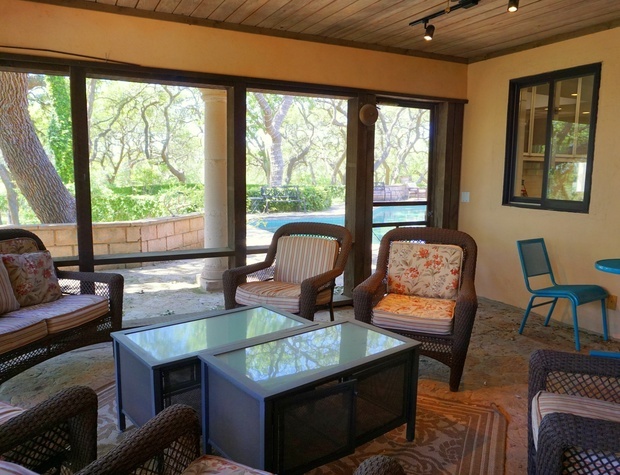 Enjoy breakfast on the beautiful, large screened-in porch or take in the peaceful sounds of the birds singing in the trees. 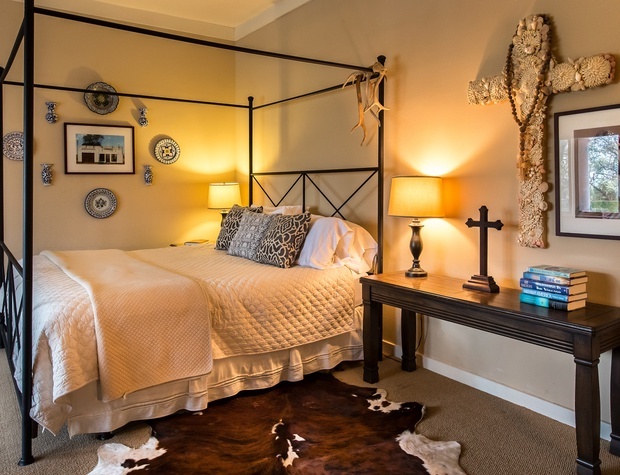 With three bedrooms and three baths in the main house, there is more than enough room for your friends and family to spread out. 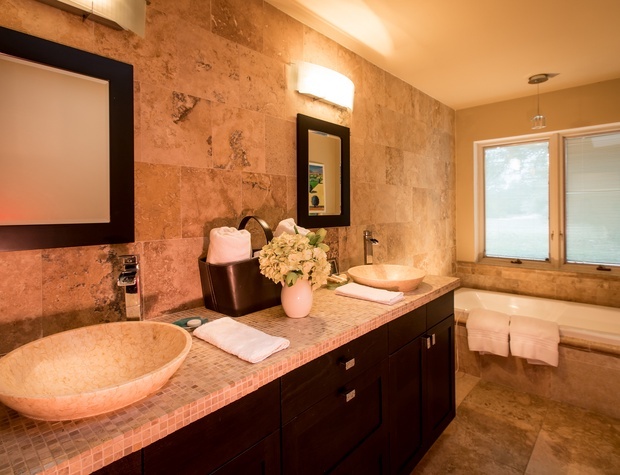 Wood floors and Travertine tile throughout provide continuity of the welcoming, natural vibe. 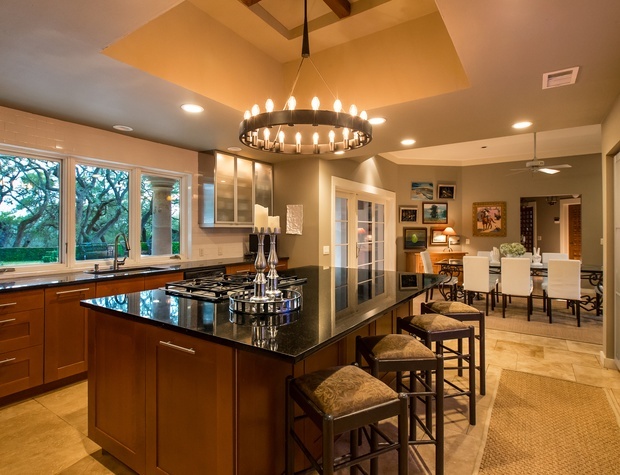 The kitchen is a true “Cook’s Kitchen”, outfitted with beautiful stainless steel appliances, plenty of dishes, serving pieces, sharp knives and spices. 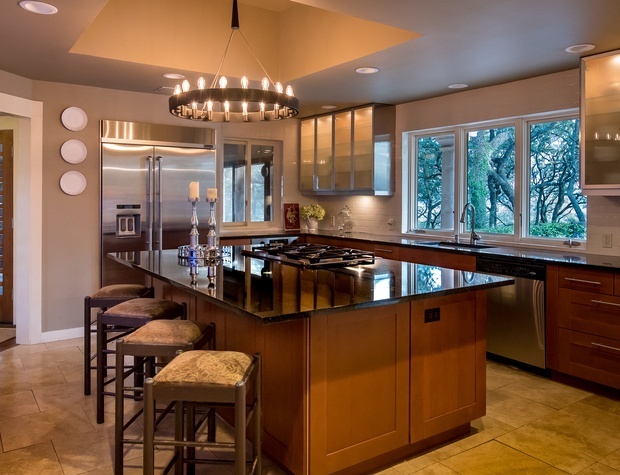 The massive granite island is equipped with a six burner gas stove and four barstools so the chef can entertain a hungry audience. 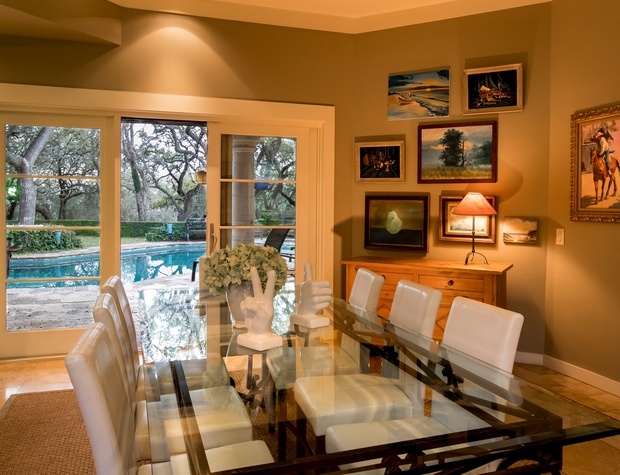 Enjoy your freshly prepared meal in the dining area with seating for eight. 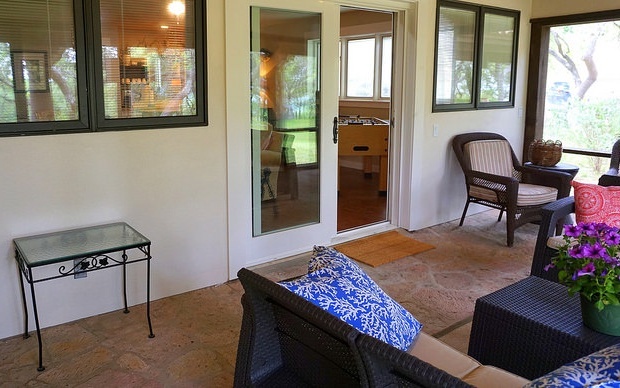 A unique feature is a covered coffee bar with a separate coffee sink and sliding doors that can be easily closed when you don’t have time to tidy up after enjoying your morning cup of Joe. 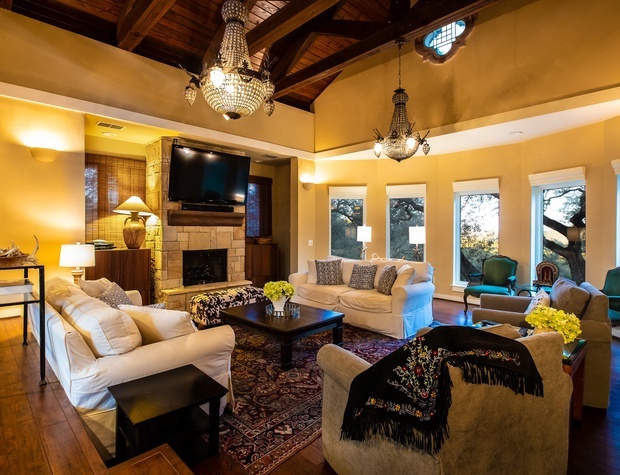 The best part of this awesome home is the living area which boasts a large rock, candlelit fireplace, a sunken living room with plenty of seating around a very large Flat Screen TV. 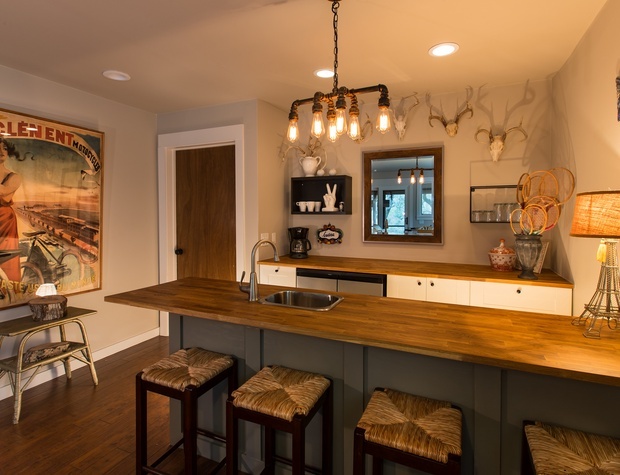 This terrific space has the most unusual and truly stunning Texas style chandeliers with tiny metal deer heads surrounding the magnificent glass lights. 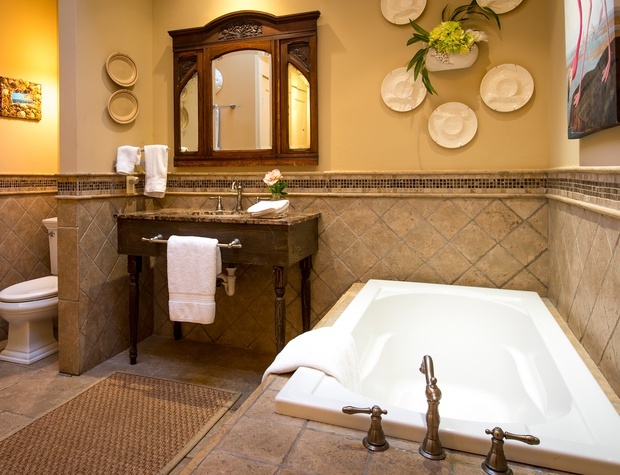 During your adult getaway we know you’ll linger at the fabulous wet bar. 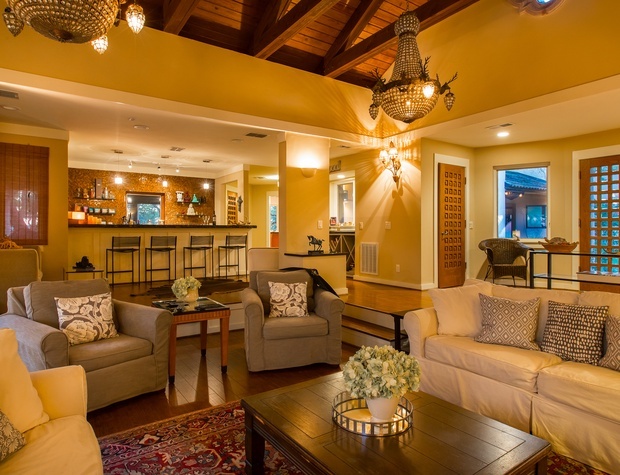 It has the atmosphere of a classy club but the intimacy of a private lounge. 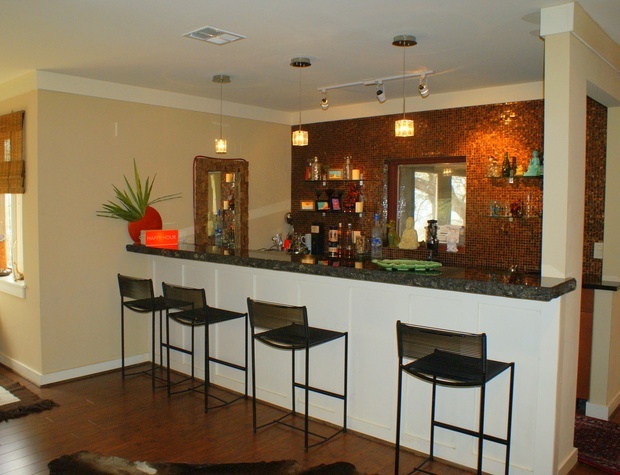 Serve cocktails at the 12 foot granite bar as your friends enjoy relaxing in the four bar stools or lounge seating. 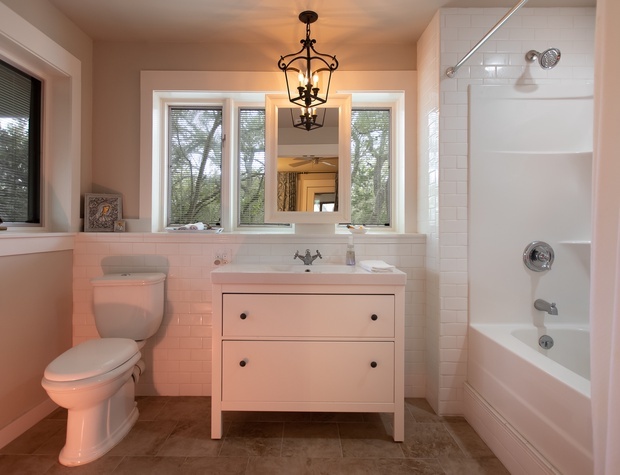 The tile backsplash shimmering in the chic, upscale lighting really adds to the sophisticated yet celebratory ambiance. 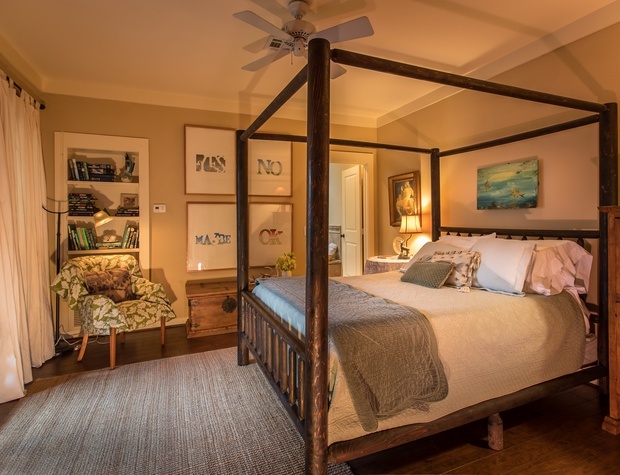 On one side of the house you will find the spacious master bedroom with a plush king bed and views of the glistening swimming pool. 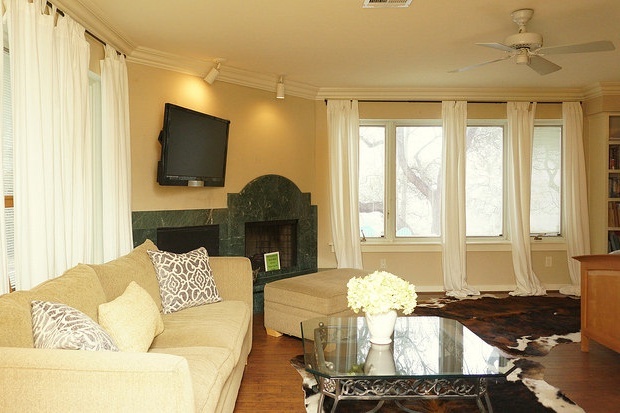 Watch the flat screen TV while basking in the glow of the candlelit fireplace. 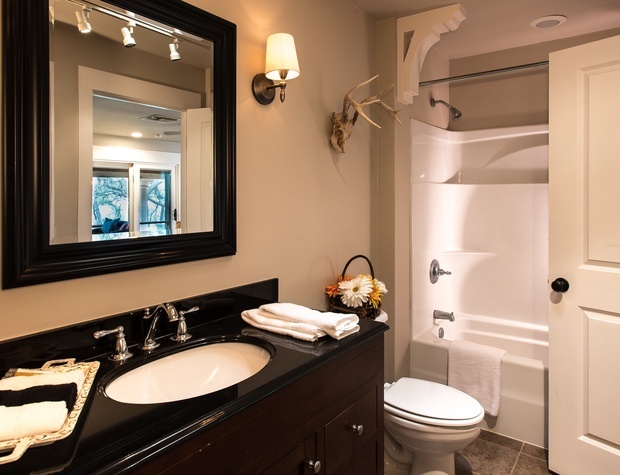 Unwind in the large soaking tub or the separate shower in the master bath. 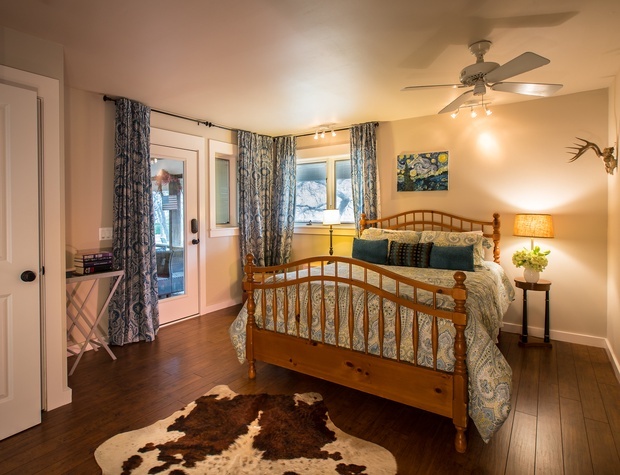 On the opposite side of the house is the 2nd bedroom with an inviting queen size bed, private bath with soaking tub and separate shower. 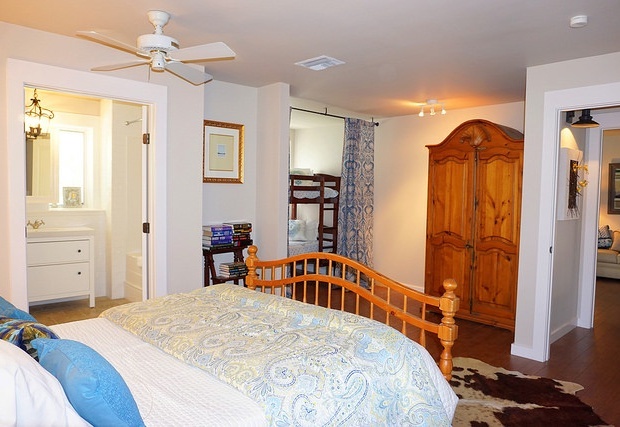 Down the hall is the 3rd bedroom with a king size bed, sitting area with flat screen TV and its own bath with soaking tub and separate shower. 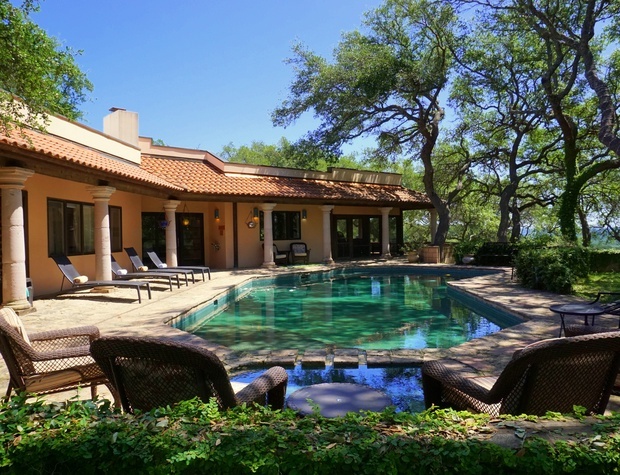 Outdoors, the glamorous pool with ample lounge chairs await as well as a large firepit with plenty of seating. 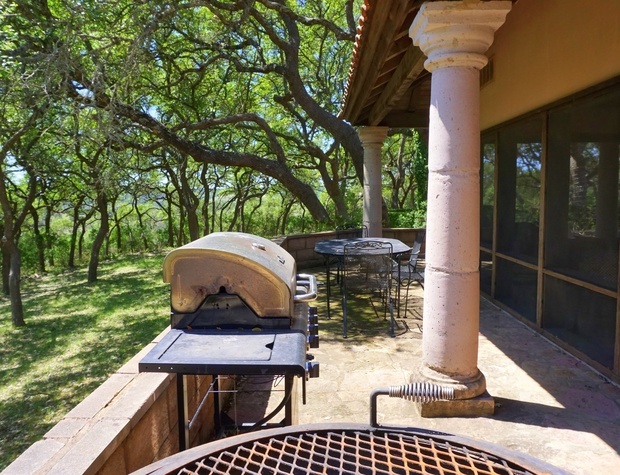 If grilling is your thing, this is the place! 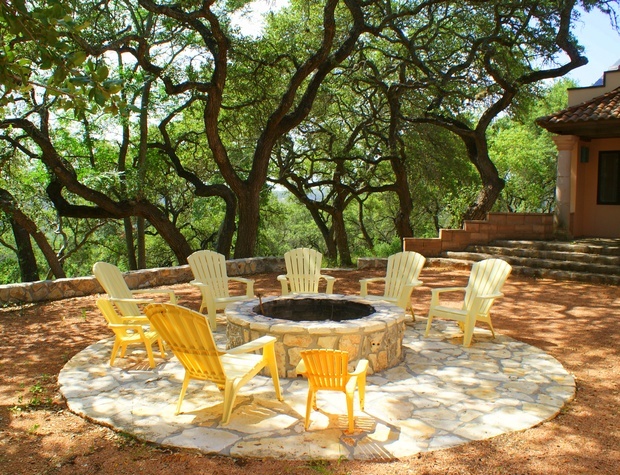 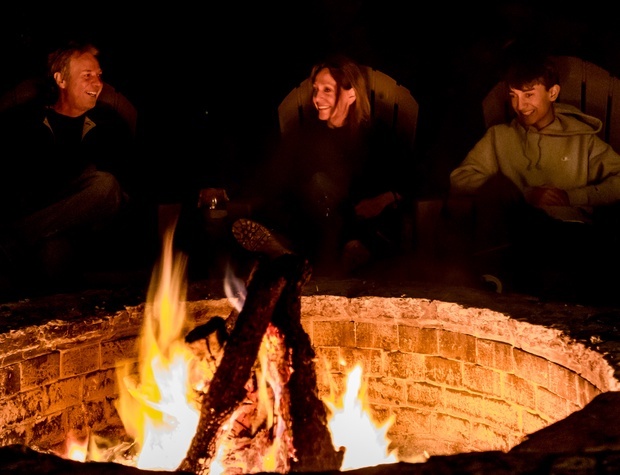 There is a gas, charcoal, and even an electric grill available for guest use. 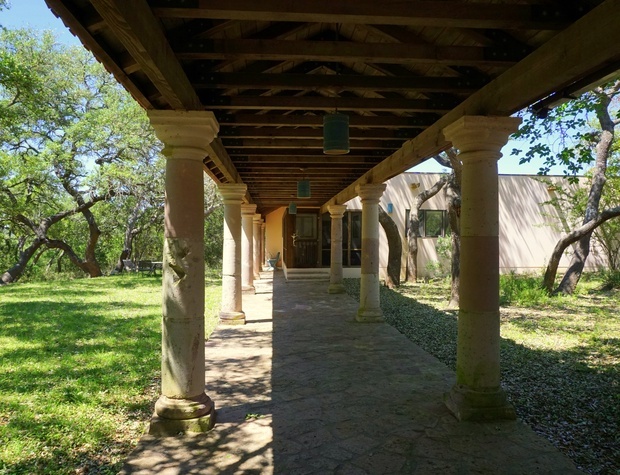 Walk down the covered pathway to the elegantly decorated two bedroom, two bathroom guest house- perfect for overflow guests from the main house. 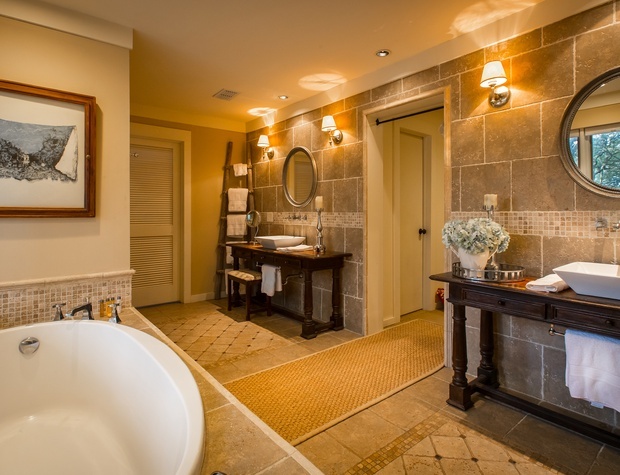 Although it is a guest house, the luxury accommodations match that of the main house. 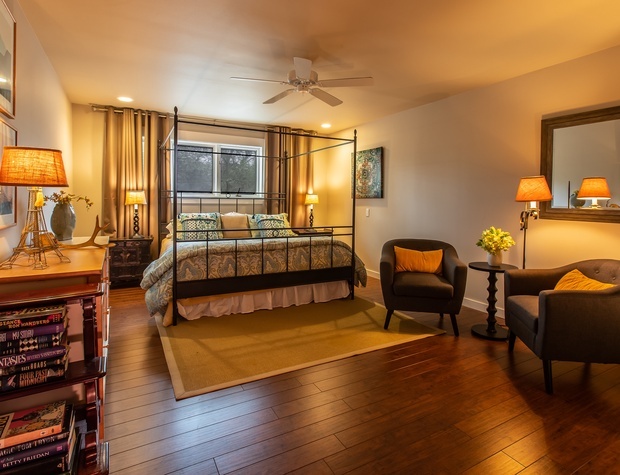 The Master suite boasts a comfortable king sized bed and an ensuite bathroom. 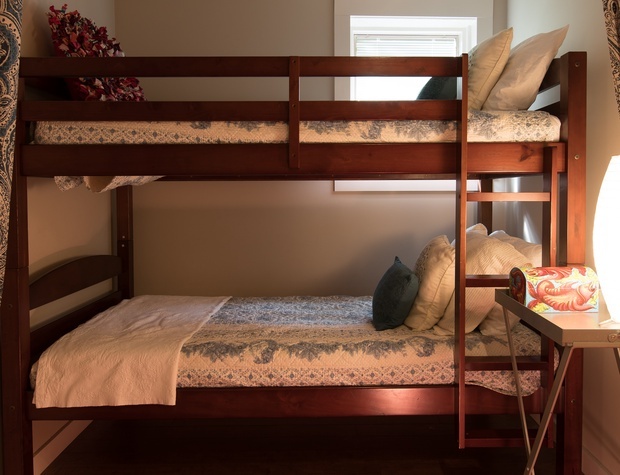 The second bedroom offers a plush queen sized bed as well as a curtained off bunk bed for added privacy. 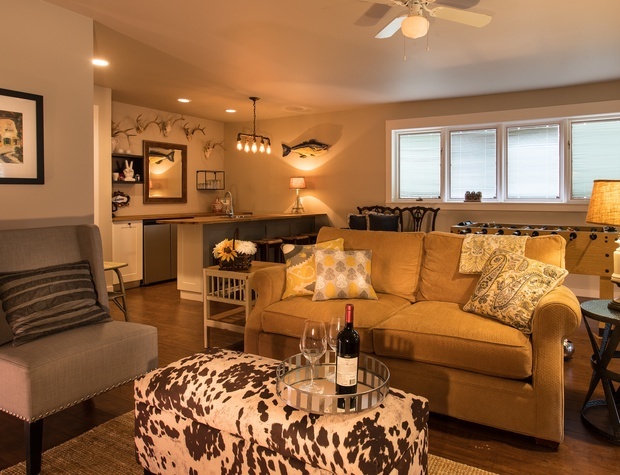 The living area offers so many fantastic amenities as well. 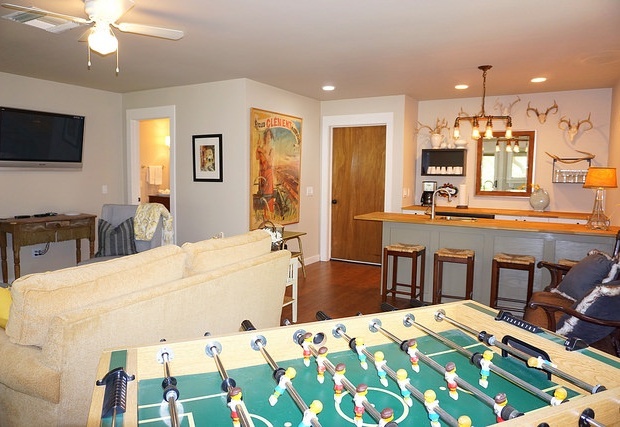 A Foosball table for an afternoon game, a sofa sleeper, and a flat screen TV. 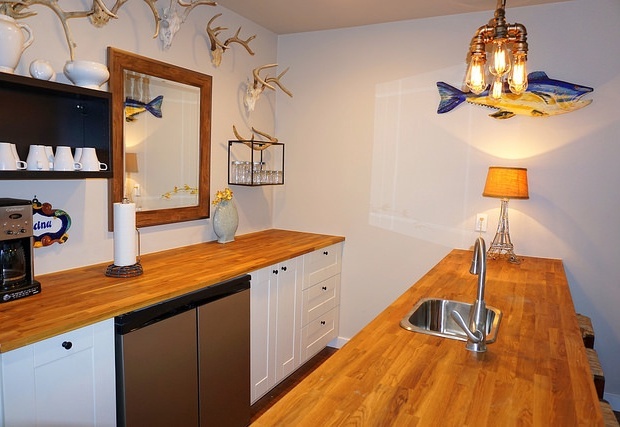 In addition there is a kitchenette perfect for the space with a mini fridge and microwave and cooking and serving utensils appropriate to the space. 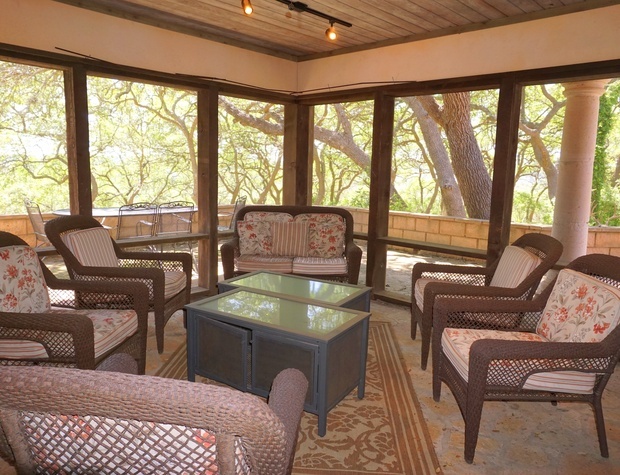 This charming guest house even has it’s own private screened in porch for your enjoyment.